If there is any one lesson that I have learned in the past few years with losing two brothers, it would be love what you got. Love passionately and with abandon. Pray with a fierceness that you must draw from the deep places with God that most people fear to go. Love with everything you have. † New, full-color, high-resolution maps and charts. 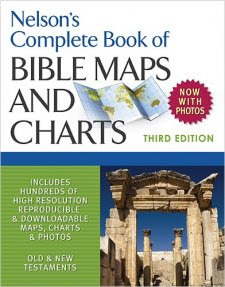 † Downloadable PDFs of maps and charts for presentations and classes. † Tables, charts, and diagrams that organize Bible information for ease of learning and memorization. † Historical articles providing insight into Bible times. † Introductions to each book of the Bible. I thought this study help was impressive. It not only gave a clear overview of each book of the Bible, it compared many things that the reader might not put together on their own. I enjoyed the Contrast of the Two Adams where they compared the temptation of Adam in the garden to the temptation of Christ in the desert. This book is much more than just a compilation of study helps. It is a faith builder. As a teacher, I was excited about the high quality charts and graphs. All of the charts and graphs are available online for easy download on Thomas Nelson's website. If you are a teacher or a Bible student that loves to study, you will love this book. Here is one of my favorite lines in the book: "The Abrahamic Covenant is unconditional, depending solely upon God who obligates Himself in grace to bring about what He has promised." Sometimes in ministry there is a lot of mud slung at you. I have even been told that I'm "the evil that needs to be eradicated." I have felt like Elijah who said, "they killed all of the other prophets and now they are trying to kill me." In those bleak moments, it is a gift to be reminded of the furious longing of God. Like I said yesterday, Brennan Manning can write. As the days were heavy on me, I would whisper as he suggested, "I belong to you, Abba." It was instantly healing to be reminded that I belonged to my Father and He longed for me when others chose to ostracize me. "I am my Beloved's, and His desire is for me." Brennan helped me to see the Song of Solomon in a new way. I became the desired object of the rhythmic literary work and I felt the longing of my Abba. "Come then, My beloved, My lovely one, come. For see, winter is past, the rains are over and gone. Flowers are appearing on the earth. The season of glad songs has come. The cooing of the turtledove is heard in our land. The fig tree is forming its first figs and the blossoming vines give out their fragrance. Come then, My beloved, My lovely one, come." Thank you, Brennan Manning. The Holy Spirit used your book to weave the epic poetry of the Lord onto this human heart. The Spirit of God ministered to me beyond words as I turned each page. Thank you. 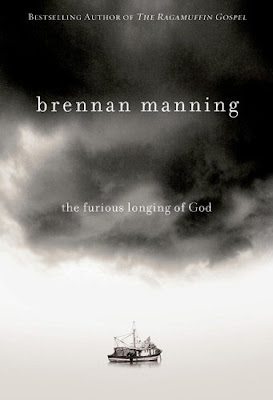 I read in Brennan Manning's The Furious Longing of God about him challenging a woman to sit in a quiet place every day and pray "I belong to you, Abba." I started doing it multiple times a day and I think it might be a life long habit. I have a lot to say about the book, but that's another post. Brennan Manning can write!!! I camped out on a scripture he also suggested to pray. "I belong to my Lover and His desire is for me." My mom sent Laomai some money so that she could take Mom and Dad out to lunch for Valentine's. I was asking her if she was taking me to lunch on the way to church in the car and she said, "Yes. You and your husband!" She had a great time paying for and tipping the waitress. She even told her, "Happy Valentine's!" We capped our date off with a trip to Starbuck's. It was such a fun day with my family! Thank you, Lord, for family! 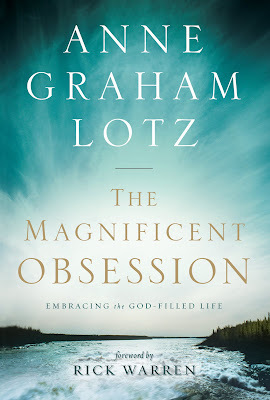 Anne Graham Lotz is one of my favorite authors. She is a rare and beautiful find in today's Christian culture. Most Christian authors would tell you that they are writing books that point to Jesus, but most of them are a type of self-help Christianity. If all we learn is that the Bible is about us and how we live, we have nothing to offer others. Anne gives us a beautiful glimpse at Jesus in the life of Abraham. I could tell you a million comments on each section of this book, but I just want you to know that I loved it. I want you to read it. I have seen the glory of a father willing to sacrifice his own son. I have drunk deep as I watched the father send his servant to carefully select a bride for his son. I love seeing the rich beautiful tale of Jesus Christ and the lengths he goes to in order to protect the bride and get her to the son wrapped so intricately in the pages of Genesis. Beloved bride, fall into this poetic tale and live it out. You won Angels by Dr David Jeremiah. I was reading in Joshua today about serving the Lord and no other gods. As I read in chapter 24 about how God punishes those who align themselves with Him but choose to do evil, I thought of another verse. I realized how much our personal holiness effects our next generations. We all think of the thousand generations that will be blessed, but how much thought do we give to the next four generations that will bear the weight of our misdeeds. Do we love our children enough to forsake false gods, seek after personal holiness, and truly rest in the righteousness of Christ? If we were willing to cling to a habit or idol that could result in a lifelong struggle for our children and our children's children, wouldn't that look more like hate? Does the Lord see it as He says in Exodus, as though we hate Him? Is our sin a sign of our hostility towards our Maker? Are you willing to give up a personal idol to exchange the curse of future generations for a blessing? Do you love your children that much? This really isn't about you. Choose to love. All we need is Jesus. * Great video below about the church. The Big Red Tractor from Jacob Lewis on Vimeo. John and Stasi Eldredge have come together to write a book about the epic adventure of marriage. We are led on a guided journey into the heart of our spouse and encouraged to fight for them in the places it is hardest to do so. I really enjoyed reading this book. It made me want to be a better wife to my husband. The words poetically lent me the vision that I was part of the grand story written with the lives of two people. It made me want to lavish love upon my husband. As I made my way through the book, I became disconcerted in chapter six. It is all about an enemy of our marriage. I fully believe there is one. The problem for me was that it encouraged people who were feeling under attack from the enemy to renounce any agreements and speak against said enemy. That may sound well and good, but there is a problem. No matter what is coming against us, be it the spirit of condemnation or pride or anything else, we still chose to make the agreement. That does not leave us in need of renouncing. It leaves us in need of repentance before a holy God. Your time would be better spent asking the Lord to rebuke anything that comes against you while you repent on your face and ask God to make your heart agree with His. I also cannot recommend the books that were recommended in the chapter or the quote from Carl Jung. The rest of the book was well written. The focus was on prayer and the power we are given as two people united under God. It definitely made me feel more a part of something mythic in proportion. It made me feel that my marriage mattered. I think it is a great place to start if you are looking for material for your marriage. If for nothing else, this book will comfort you to see two people who still don't have it together after 25 years. The beauty is that they are trying. Are you? This book was provided by Waterbrook Mutlnomah for review. Denbigh recently wrote this song that I really like. He recorded himself playing it on my iPhone. Understandably, it is not a studio track, but it's good. I have secretly uploaded it to the Internet to share with you nice people. Don't tell him. As humans, we are naturally fascinated with spiritual things. Angels are no exception. Dr. Jeremiah's book takes you on a guided tour about what scripture says about angels. There are so many questions and he has many answers for us from scripture as well as his own personal thoughts on the subject. It is an interesting read. I was having a conversation with someone just recently and they were talking about their guardian angel. I had never really done any Biblical research on it, but I wondered if that ideology was one that could be supported by the Bible. You will have to read the book to find out. I loved seeing all of the scripture involving angels presented together. There was such a theme of announcing that sons would be born to barren women. It was amazing to see them set the stage for an even greater miracle that is announced to a virgin. There are a ridiculous amount of badly written books on this subject that are lacking in theological weight. This is not one of those books. I think it is excellently written. Even in the questions that cannot be answered, David lays out for you the best hypothesis so that you can decide for yourself. Most importantly, he reminds the reader that we pray to God and let Him answer us how He chooses with whatever means He chooses. ♕ I have a copy of this book from the publisher to give away!